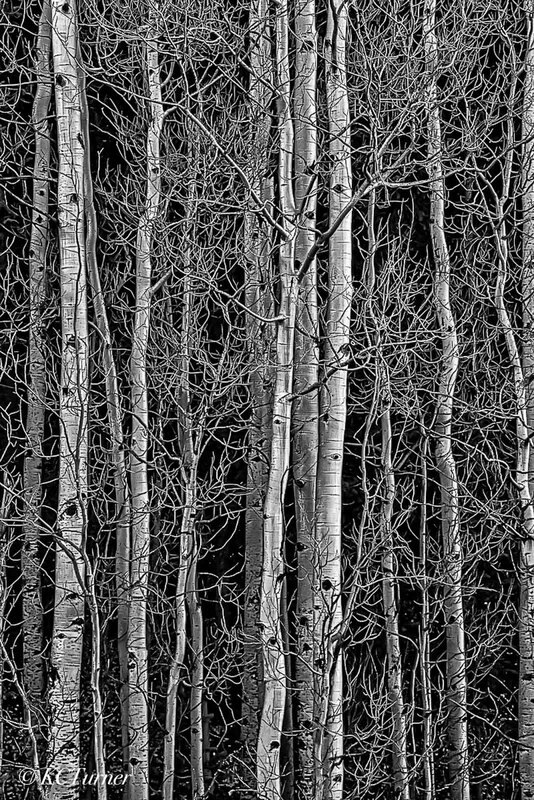 These Colorado aspen trees rendered in a monochromatic/black and white treescape shine with luminous silvers. Photo © copyright by K.C. Turner.